Above, you will find categories of our succulent selection of sweets. You name it, we have it - if not, we can make a special order for you. 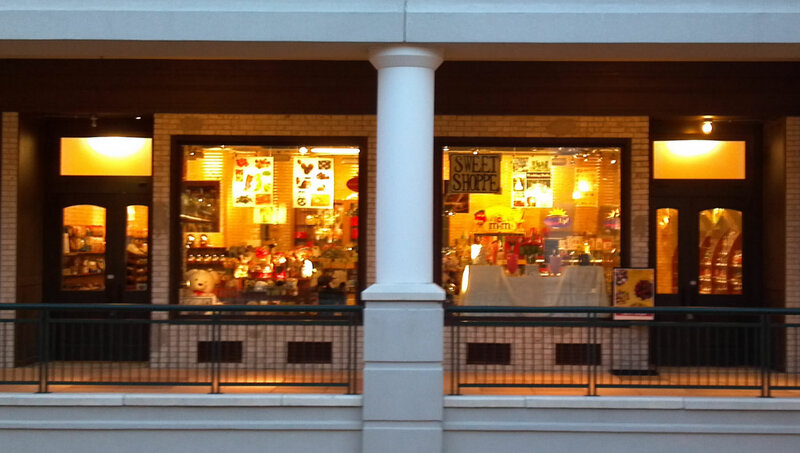 Sweet Shoppe is located in Short Pump Town Center. You can find us across from H&M on the 2nd floor of the Macy's wing. We've been open for a little over a year and we're proud to serve the Short Pump area and our fine Commonwealth. 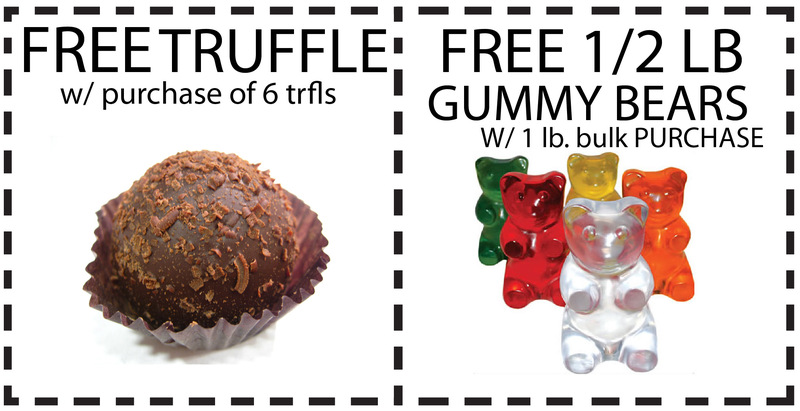 Go truffle or gummy, or both. Instead of printing, you can also show us the coupon if you happen to have a smartphone.